Fireplace Packages are complete fireplaces that require nothing else, they have been put together to offer value for money and are the cheapest way to achieve the fire of your dreams! At Cast Fire Places we stock a wide range of affordable fireplace packages and suites in many different styles and materials including cast iron, limestone, wood and marble. Our fireplace range caters for all fuel options including electric, solid fuel (real fire) and gas fireplace packages. 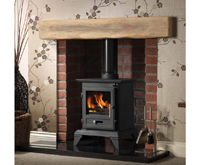 We pride ourselves on our high-quality service, offering only the highest quality fireplaces at the best prices. Browse our range, or contact us if you require more information. What is more classic in looks than a cast iron fireplace, Great replicas from a bygone era suitable for bedroom and living rooms where you require a focal point. Modern off white Agean limestone is used in the manufacture of our limestone fireplaces, matched with arched and tiled inserts they form our bestselling fireplace range. 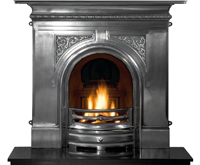 Carron Fireplaces state a bold statement cast on original designs. 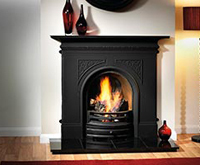 All black fireplaces are finished in a Liberon iron paste to give them a true authentic look. Modern in design with minimal detailing this range of contemporary fireplaces offer our customers a traditional design with the minimum of fuss. 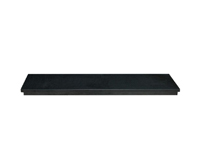 A simple black shiny grate panel forms the base of these granite fireplaces offered with a choice of mantels in wood and limestone to form your perfect fire. Modern fireplaces are offered in micro marbles and solid limestone, smaller than a traditional fireplace they are designed to accept standard gas and electric fires. 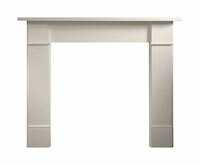 Modern in design, our Portuguese limestone fireplaces are the perfect choice when requiring limestone in a full suite. 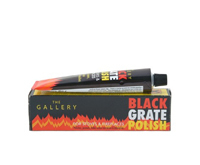 For use with standard gas and electric fires.